Fall is not something celebrated here in Australia. In fact we are in Spring and its warming up quite a bit. Where I live you don't notice the change in seasons very drastically and we don't see those Autumn colours changing like other areas with colder climates. Thats my explanation for why I struggle with cards for Fall but here's what I came up with. The cardstock is Merry Merlot, a little Crushed Curry and Copper foil. 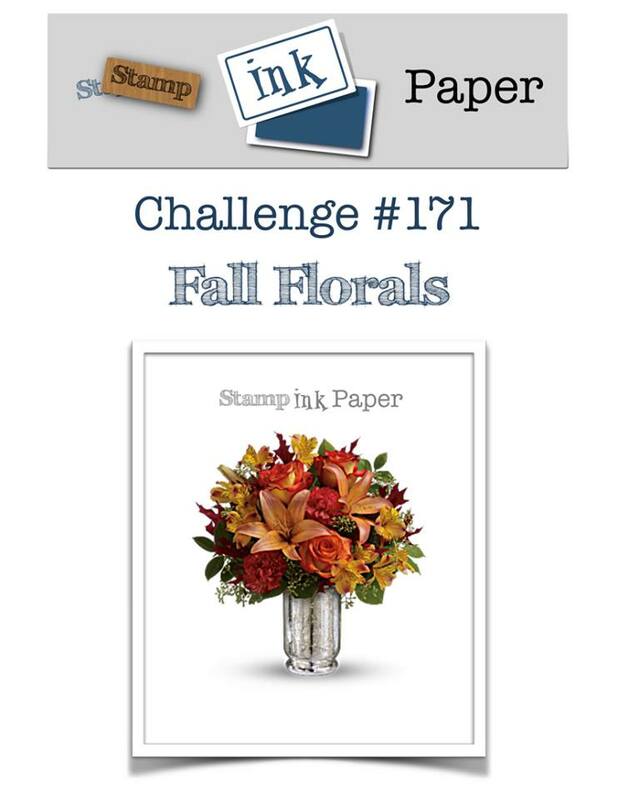 The patterned paper is from the Share what you Love specialty pack. The embossing folder is the new Tin Tile one. I was having a hard time getting a good photo to show off the detail the most. Here are a couple of closeups. I've used a few retired dies combined with current product for the flowers and also a Label for the greeting from the Share what you Love/Make a Difference pack that was part of a large bundle I ordered. Thanks so much for stopping by today. 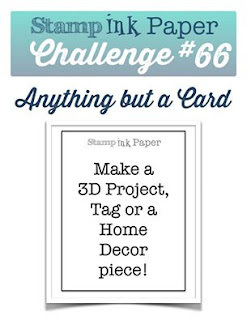 I hope you enjoy seeing my card and will participate in our challenge. 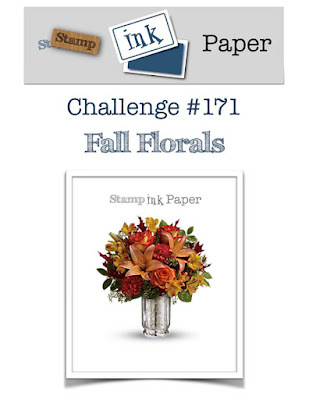 Can't wait to see what you come up with at Stamp Ink Paper.